Brick Dragon are a company who sell genuine StarWars Lego Minifigures, vehicles, parts and accessories. 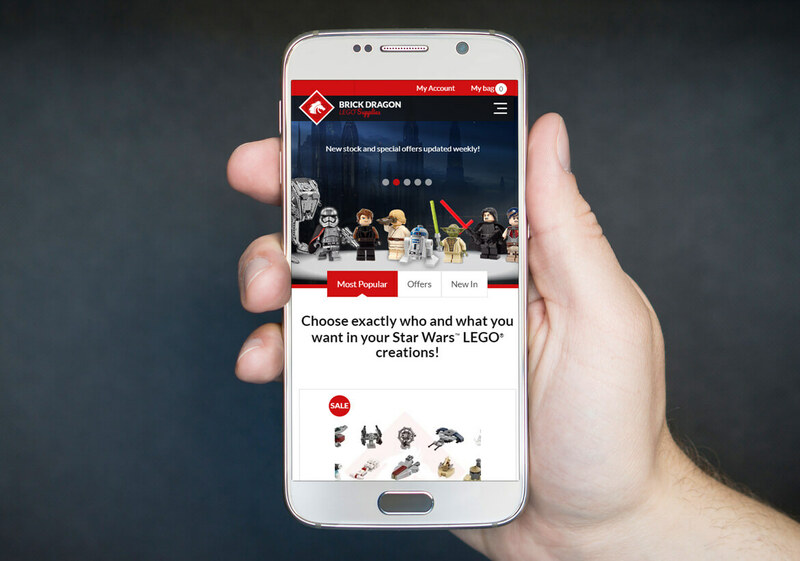 Brick Dragon came to us when they needed an e-commerce website to promote and sell their genuine StarWars Lego minifigures. We proposed to create a fully mobile responsive, GDPR compliant, e-commerce website with a professional, modern and unique design compromised with a brand new logo. Once the site went live, Brick Dragon understood the potential the company could achieve by making effective use of our digital marketing services. We now manage Brick Dragon’s social media accounts, helping to grow their business on a digital platform. Full CMS training is always provided with our packages and all websites are fully GDPR compliant, mobile responsive and optimised for various devices and screen sizes.